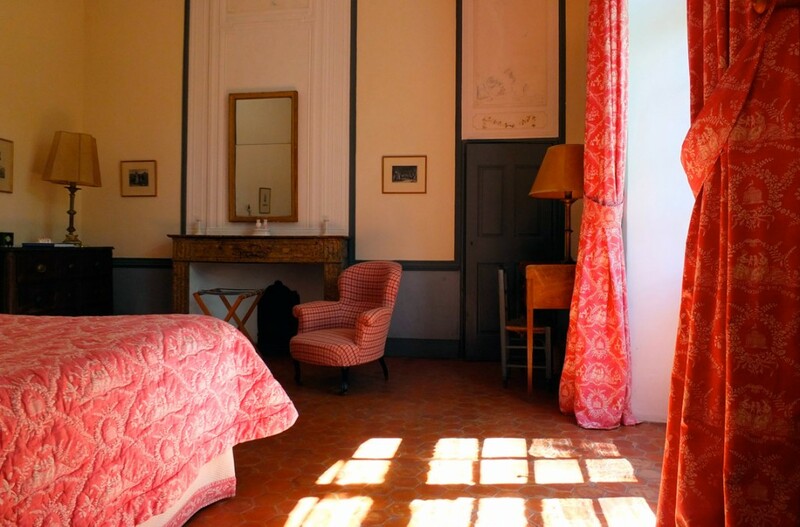 In this B&B in a chateau in Provence, guest rooms are situated high in the 18th century wing overlooking the countryside and two hundred year old plane trees. 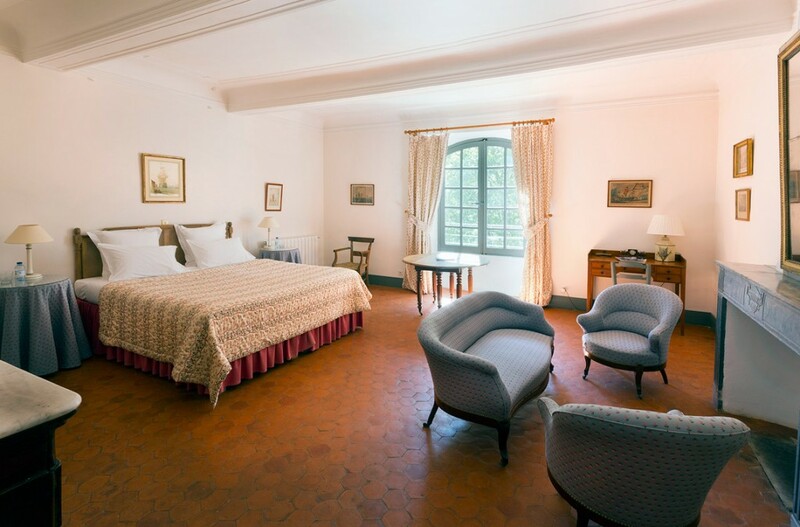 With high ceilings, marble fireplaces and floors tiled in the typical warm red provençal tiles (or tomettes), the prettily decorated rooms have their original furniture except for the modern, comfortable beds! Each bedroom has an ante-room and en-suite bathroom. 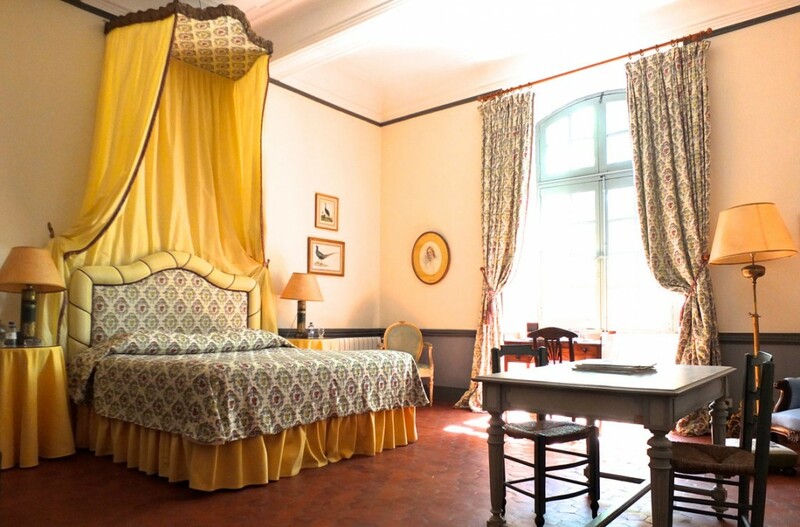 All the rooms have twin beds usually made up together as double beds, unless you request that they be made as singles, apart from the room Jaune which has a large double bed. 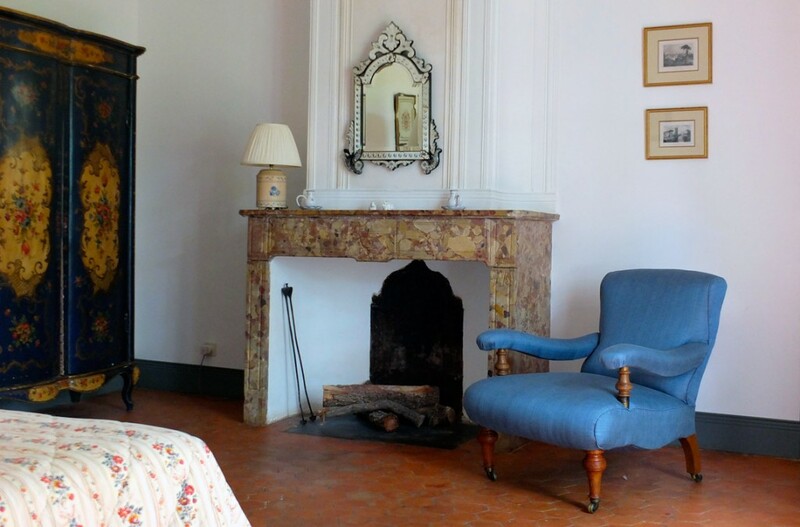 Room Jouy is ideal for families as it has an adjoining second room with two beds and a cot for children. Room Vénitienne has an extra bed in its ajoining room. Extra fold-up beds or cots can be put up in any of the rooms. A copious buffet breakfast of delicious breads and croissants, home-made jam and local cheeses from the market, boiled eggs and fresh fruit is served downstairs in the vaulted, stone-flagged old kitchen where on cool mornings a log fire is lit in the huge fireplace. When possible, the food comes from local farmers and producers or, at least, is organic.